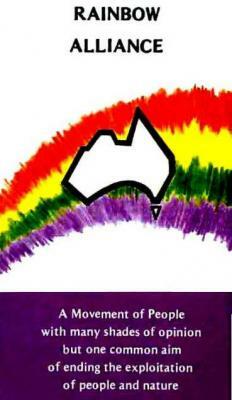 Joseph Camilleri was the founding Convener of Rainbow Alliance, a new political movement bringing together people active in peace, environmental, gender, social justice and union issues. Its aim was to encourage cross fertilisation between these streams of activism and to make the connections between issues often viewed in isolation from each other. Conversations on the formation of a new movement got under way in 1986 following Camilleri's resignation from the Australian Labor Party and the publication of his widely discussed Arena article 'After Social Democracy'. These conversations involved a wide range of social and political activists, including Jim Falk, Jo Vallentine, Peter Garrett and Bob Brown. Much debate centred on the name to be given to the movement, and whether or not it would have a strong electoral profile. Eventually those that chose to form the Rainbow Alliance were of the view that electoral politics should not be the movement's primary focus. It was also felt that, critically important though it was, a "Green" agenda was not of itself sufficiently broad, politically robust or philosophically rigorous and that it needed to be closely interwoven with a range of social and economic perspectives traditionally associated with the "socialist" or "Left" agenda. On the other hand, there was a clear understanding that the exisitng political labels (left and right, or green and red) were no longer capable of providing the necessary compass or inspiration as might have been once the case. The Rainbow Alliance in Victoria was not publicly launched until the following year in Melbourne on 16 April 1989.